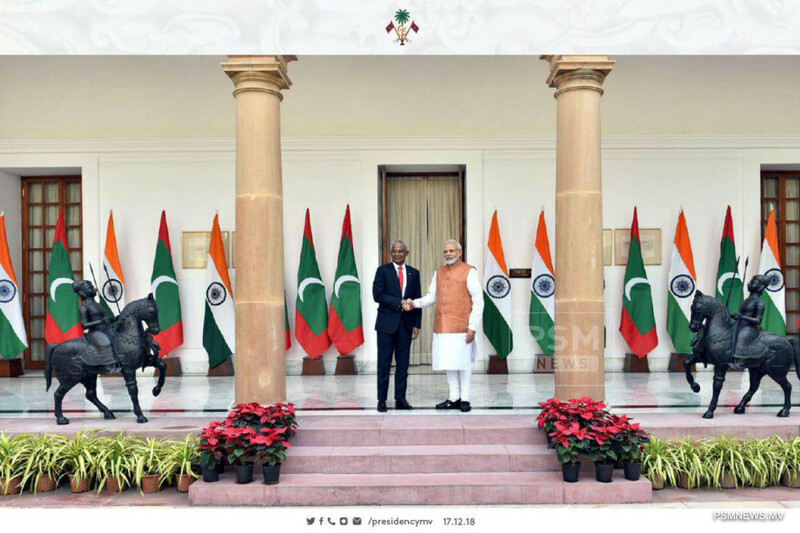 The Government of India has granted USD 50 million as budget support to Maldives. Minister of Finance Ibrahim Ameer revealed the aid is provided as budget support, as part of the agreement signed by both governments during the trip of President Ibrahim Mohamed Solih to India. In this regard, the finance minister said the USD 50 million was received in January. The Indian Government has agreed to grant a credit facility of USD 1.4 billion. Noting USD 200 million will be used as budget support, Minister Ameer revealed USD 50 million from the credit facility was provided as grant aid by the Indian Government. He revealed USD 150 million is an investment to treasury bond via the State Bank of India (SBI) with an interest rate of 1.5% for a period of two years. In this regard, emphasising the debt of Maldives will not increase, the minister said the treasury bill can be sold in the domestic market, whenever needed, and noted the treasury bond can be sold for a period of two years. Meanwhile, India has proposed to increase the aid budget for Maldives by over four times. Acting Minister of Finance of India Piyush Goyal presented a state budget which increased the allocation for Ministry of External Affairs of India for 2019-20. The budget was an increase of 6.5% from last year's budget estimates for 2018-19, but only about 3% from the revised estimates for the current year. In the budget, India has allocated about USD 367 million as aid to Maldives which is an increase of 460% compared to the last budget.